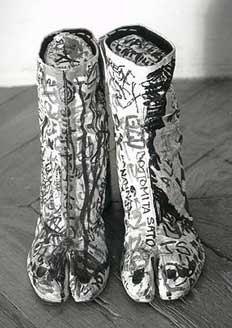 When considering the possibilities for future trends that may grace the fashion scene, one must look to the past. In this case, I have no desire to revisit the Victorian era, but if you will, follow me back to the 1980’s. Despite our present horror at the faux pas’ that were committed in the decade that brought us shoulder padding and garish skirt-suits, those who fell victim to the regretful trends had a very clear thematic purpose in their attire: to look posh in a feminine sense. Whether they accomplished that or not is up for you to decide (and something tells me that the greater majority of you would rather scoff at than applaud the gaudy garments). Throughout history, change and forward movement has been brought on by revolutions in the form of thesis-antithesis-thesis with each return to the thesis being more and more similar to the former. In this manner, the 80’s gave way to the 90’s which brought with it the the grunge movement whose influences made its way into every facet of daily fashion from ‘mom jeans’ to the plaid craze and was undeniably masculine. In a post 90’s fashion revolution, the metrosexual was born, masculine and feminine had become increasingly less defined and the style coveted was, once again, posh. Although this cyclical pattern of trend replacement is (grossly) oversimplified, history has spoken and currently, the mainstream fashion scene is that of the ‘hispter’, a style in which the lines between feminine and masculine have been blurred to the point of near non-existence. The return to baggy shirts and tight pants that were introduced in the 90’s has given way to other exaggerated trends. Based on these observations, I predict that the next wave will be heavily influenced by Japanese style, with very androgynous elements and clean, tailored pieces. 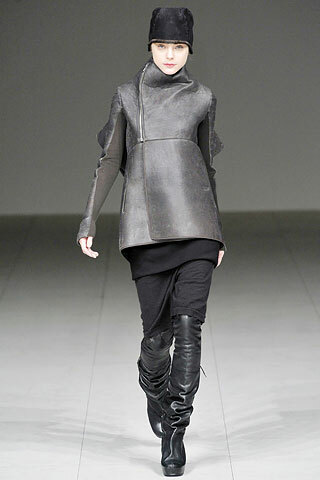 A few things I predict will be making the rounds soon are: tabi boots, Rick Owens-like capes, Shu Uemura eyelashes, and form that blossoms from everything but function – things that are almost like a grown-up version of current blogger-centric obsessions like studs, slashes, and everything Alex Wang.